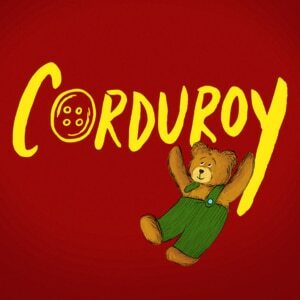 DCPA Education has announced an all-local cast of four to perform in its upcoming Theatre for Young Audiences production of Corduroy, based on the children’s books Corduroy and A Pocket for Corduroy by Don Freeman. Three of them were just nominated for upcoming Colorado Theatre Guild Henry Awards for their excellence on stages throughout the metro area. Corduroy is a tender comedy about a teddy bear patiently waiting on a department store shelf to find a home, and Lisa who thinks he’s just the teddy bear for her. It is an enduring story of true friendship and the lengths we go to find it. The Denver Center production opening in October will feature Jake Mendes as Corduroy, Kristina Fountaine as Lisa, Kristen Adele as Mother and Jessica Robblee as Night Watchman. Mendes recently appeared in Off-Center’s This is Modern Art. On July 23, he won the Henry Award as Outstanding Lead Actor for his titular performance in the Aurora Fox’s Hedwig and the Angry Inch. Fountaine was a member of DCPA Education’s Shakespeare in the Parking Lot ensemble, which engaged more than 20,000 Colorado high schools last school year. She was nominated as Outstanding Supporting Actress for her work in District Merchants for the Miners Alley Playhouse in Golden. Robblee, who performed in the DCPA Theatre Company’s Frankenstein and All the Way, just completed a three-year run as co-writer, co-director and actor for Buntport Theater’s Siren Song, a live ongoing pirate odyssey for young audiences. 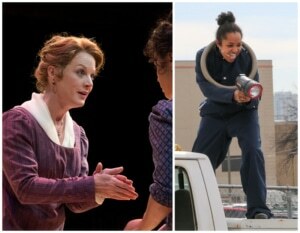 She was nominated by the Henry Awards as Outstanding Actress for her portrayal of Elinor Dashwood in the Arvada Center’s Sense and Sensibility. Adele, who is originally from Dallas, played Rachel Robinson, wife of baseball legend Jackie Robinson, in the DCPA Theatre Company’s 2013 Jackie and Me. She also was featured in Curious Theatre’s 2015 staging of Tarell Alvin McCraney’s In the Red and Brown Water. Last fall, the DCPA launched its new Theatre for Young Audiences program with The Snowy Day and Other Stories by Ezra Jack Keats, welcoming nearly 20,000 Denver area students, teachers and families — 79 percent of whom attended the performance on a full or partial scholarship. 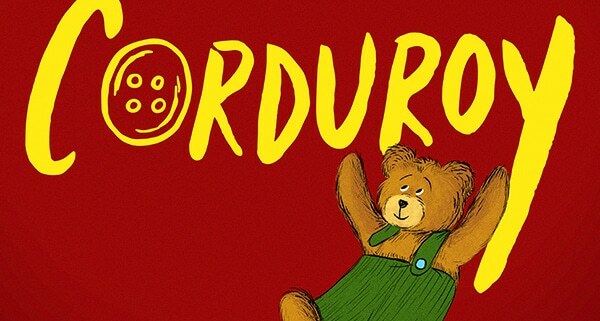 The Denver Center will stage more than 100 performances of Corduroy tailored for Pre-K through 3rd grade audiences in the Conservatory Theatre, including two sensory-friendly performances on Oct. 22. Single tickets are on sale now. Reservations from classes for schoolday matinees will start to be taken Aug. 1. All school groups are encouraged to participate in a no-cost, post-show workshop with DCPA Teaching Artists to give students an opportunity to explore themes and elements of the production. To receive a reminder alert when reservations will begin being accepted for weekday student matinees, including applications for scholarships, sign up here. “I am thrilled to continue our Theatre for Young Audiences work with Corduroy and to welcome so many young learners to the DCPA,” said Watrous, who will direct the production after having helmed The Snowy Day last year. The Scenic Designer for Corduroy is Lisa Orzolek (DCPA Theatre Company’s Native Gardens), the Costume Designer is Kevin Copenhaver (DCPA Theatre Company’s The Who’s Tommy), the Lighting Designer is Charles MacLeod (DCPA Theatre Company’s Human Error) and the Sound Designer is Jason Ducat (The Snowy Day). The stage manager is Corin Ferris, and the Assistant Stage Manager is Kristen O’Conner. Casting was by Grady Soapes, CSA.